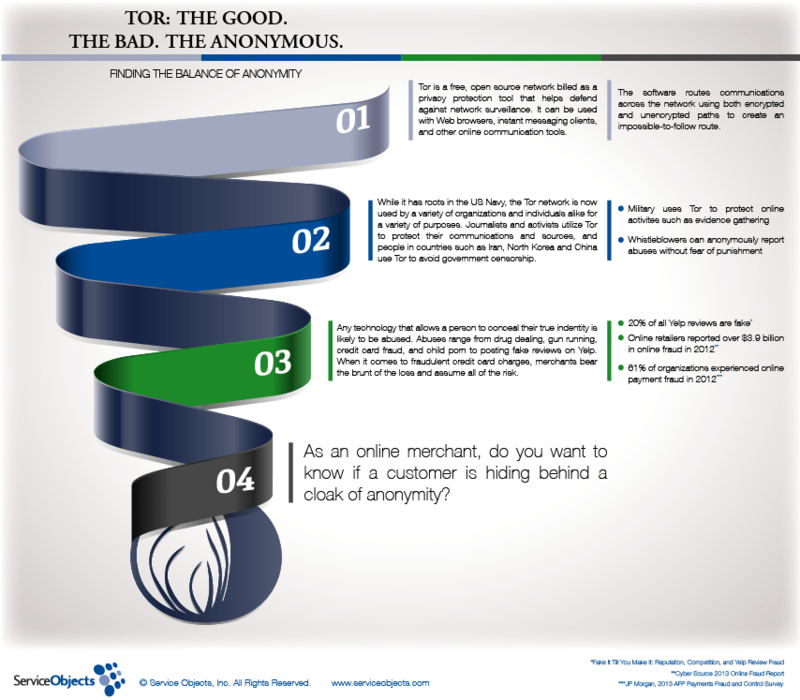 Tor Infographic: The good, the bad, the anonymous. Service Objects released today a whitepaper entitled “Tor: The good. The bad. The anonymous. 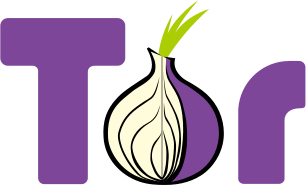 Finding the Balance of Anonymity.” The paper provides a user-friendly explanation of the complicated Tor network – giving readers a new understanding of what Tor is, how it works and how it can impact Internet users and online retailers. Download Whitepaper Here! Last week our DOTS IP Address Validation web service received an exciting new feature enhancement – the ability to detect Tor network users within the anonymous proxy warning. Using the Tor Network or similar anonymous proxies to hide one’s IP address allows fraudsters to easily conceal their true geographic location, enabling them to create potentially bogus transactions. Orders made with stolen credit cards create havoc for retailers, especially during the crucial holiday shopping season. Customers using IP address validation can now uncover real-time location and network information about the IP address linked to the user, warning them of contacts utilizing anonymous and public proxies. This information empowers companies to make informed decisions about the risks associated with these types of online transactions. The addition of this enhanced anonymous proxy feature has produced an interesting, and somewhat controversial conversation on Slashdot. Find out what others are saying here. For more information about DOTS IP Address Validation and how to defend against online fraud, click here.